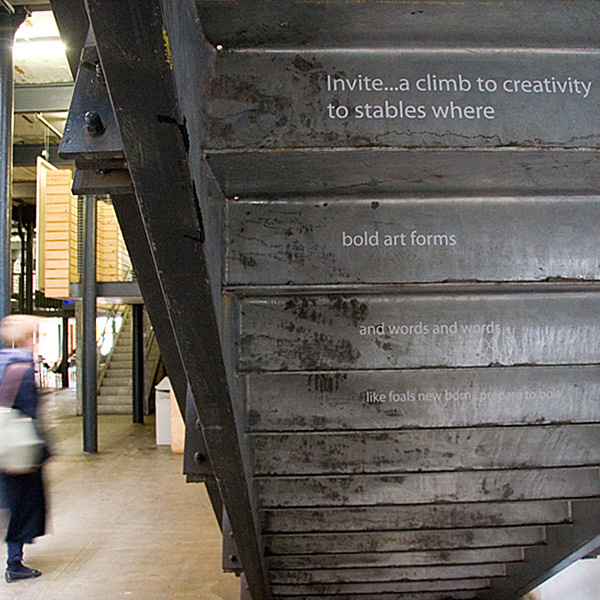 In Spring ’09 I collaborated with Word Factory, Tramway’s poetry group in residence. I worked with the group of writers and introduced ways of exploring how their work could be realised off the page. 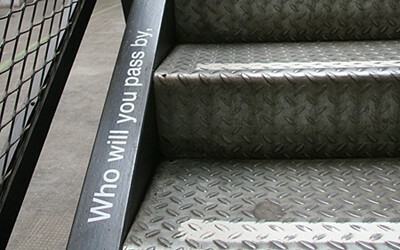 The written work was to use Tramway, ‘the building’, for both site specific works as well as a surface for the written word.